Northern California’s premier home maintenance, installation and repair service provider. Welcome to Discount Plumbing Heating & Air. Our family owned plumbing business has served Tracy, CA Modesto, CA Stockton, CA and Pleasanton, CA and surrounding areas of Northern California with exceptional service for more than 20 years. Whether you need a new water heater, drain cleaning or other plumbing repair, we provide outstanding service at affordable rates. Our plumbers have superior skills and extensive training. We provide industry leading training and a continuous improvement program to ensure that our plumbers have the knowledge and skills to handle any plumbing repair problem. In addition to extensive training and plumbing expertise, we are committed to providing superior service to every customer for every job from installing a new water heater to extensive plumbing repairs. 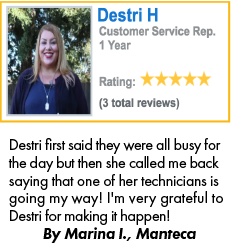 We provide full service plumbing, and sewer and drain cleaning, as well as heating and air conditioning services to residential and commercial customers in Tracy, CA Modesto, CA Stockton, CA and Pleasanton, CA. Are you concerned about water quality, or air quality? We offer professional installation of water purification and filtration systems in addition to HVAC systems. Our green products are designed to conserve energy, save water and help you save money on your utility bills. We encourage you to browse our website to learn more about the plumbing, drain cleaning and heating and air conditioning services offered by our professional plumbers and HVAC service technicians. Look for coupons and special offers on our website to save money on plumbing services, water heater installation and other select services. Call us 24 hours a day, 7 days a week at 209-207-0390 for fast service in Tracy, CA Modesto, CA Stockton, CA and Pleasanton, CA. Providing Premier Level service in Northern California for over 20 years. We’re up late so you can sleep! Open night & day, 24 hours. We also don’t charge extra for Weekend Service! Learn More…. Our Fast & Fair Pricing provides you with up front, flat-rate prices! Serving Northern California with the best Plumbing and Drain Cleaning Services Available! Our Service Partner Program is aPreventive Maintenance system that protects your home and drastically reduces your service rates. Get your problems fixed fast! Just give us a call, (866) 254-9020, 24 hours a day! Our Industry Leading TrainingContinuous Improvement program. We stay up late so you don’t have to! Just call our hotline at (866) 254-9020 anytime 24 hours a day! Several Year Repair Warranty Options on most plumbing. We stand by our work… most companies stop at 30 days! Your satisfaction is our top priority! 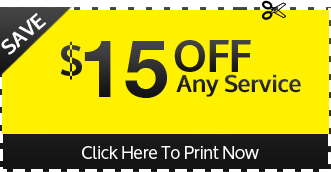 Get the job done now, get the job done right with our online reader special! Call 24 hours a day (866) 254-9020 or Click Here to Book Service Online! We offer regular maintenance services that will reduce the stress that is on your home mechanical systems.